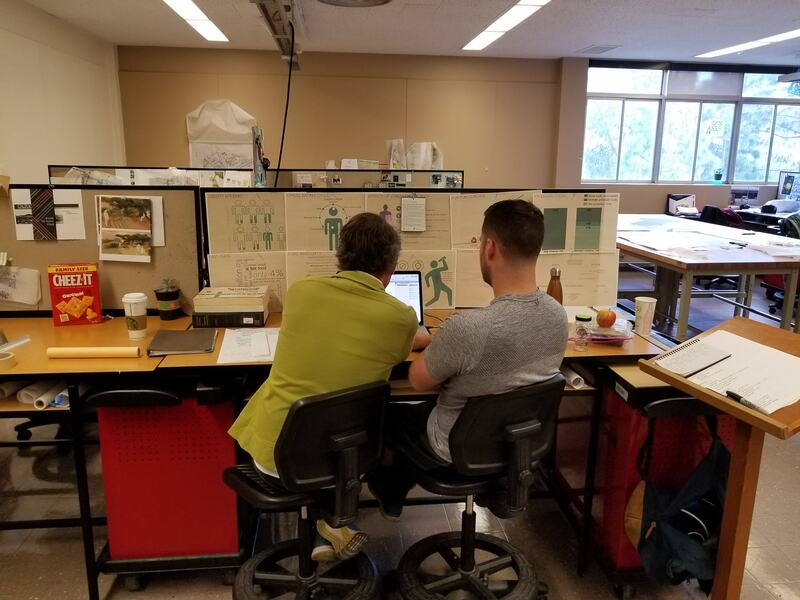 For almost a year, 28 students of the Landscape Architecture’s graduating class of 2018 have worked tirelessly, researching, writing, drawing, and staying up far too late to showcase their design talent and innovative abilities. 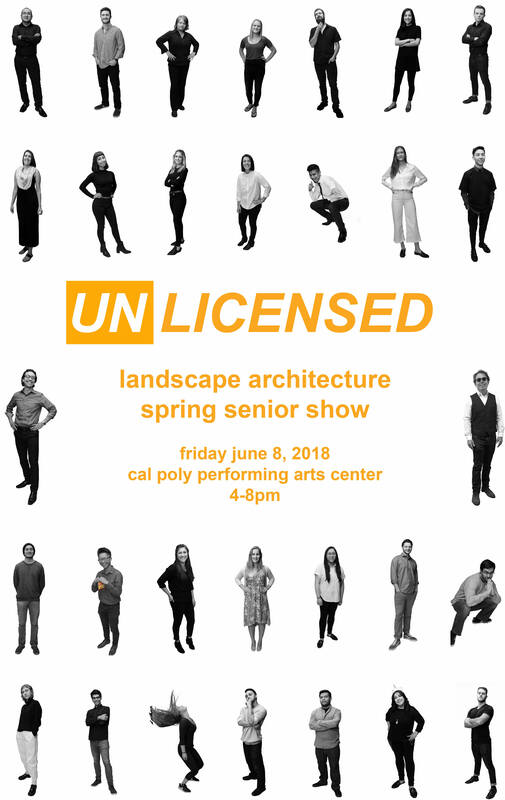 Cal Poly’s Landscape Architecture program is the #1 most admired undergrad landscape architecture program in the United States. Every year the seniors through their capstone project are challenged to push the current boundaries of the profession. This year is no exception as students have boldly explored cultural, ecological and economic issues facing our society. 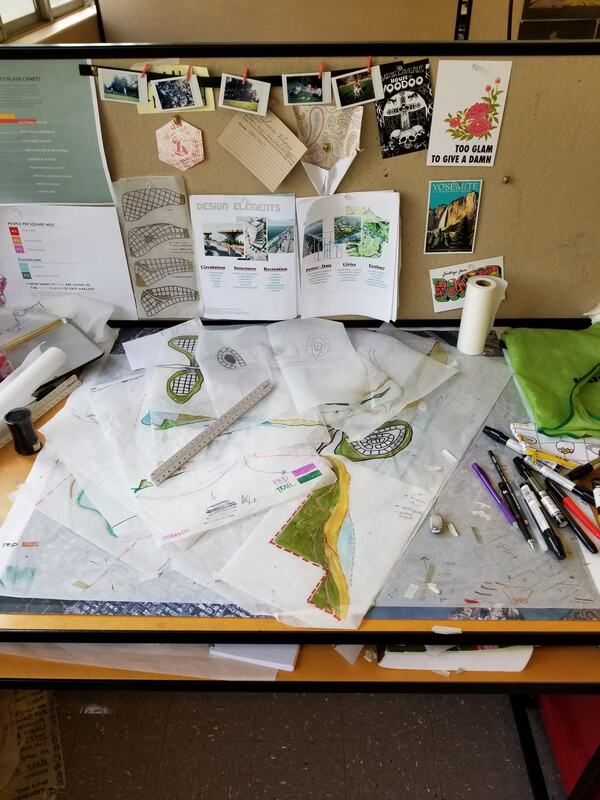 From Syrian refugee camps, to dust mitigation at the Salton Sea, to green infrastructure in Bakersfield, the projects span the breadth and depth of landscape architecture and beyond. The Spring Show is an excellent showcase to their community, their peers, families, and professionals their hard work and inventiveness over the last year enlightening how tomorrow will be different. Please show your support by donating anything you can, the Spring class of 2018 thanks you! With your generous donation of $25, you will receive a personalized thank you card from the grateful senior studio! With your generous donation of $50, you will receive a thank you video from the Landscape Architecture students! For a generous donation of $100, you will receive a signed postcard, showcasing one aspect of a student project. For a generous donation of $300, you will receive a video walkthrough of a student's project! Your generous donation of $600 will cover the entire cost of our venue! You will receive a personalized thank you video from the students of the Landscape Architecture. Your amazing donation of $2000 will meet our goal entirely and help put on an amazing Senior Show! You will receive a personalized thank you video from every student, postcards, and a Save the Salton Sea Sticker.